I have always suffered from anxiety. Even as a young boy, I have tried every imaginable solution. Think good thoughts. Try not to think of going to the bathroom. Don’t listen to what the priest tells you. Etc. Etc. Sad to say, I have not really overcome it. I have merely placed rescue flags along the way – so when anxiety strikes I have those flags I could reach for to wave for rescue. The flags were not always within reach. And that would mean mental breakdown in my part. It does not happen often. But when it does, I’m pretty much useless. One thing I have learned about being anxious is I could spot one who is experiencing the same thing. Such is the Migrant Mother. An iconic poster person of the Dust Bowl era. Shot by the great Dorothea Lange. 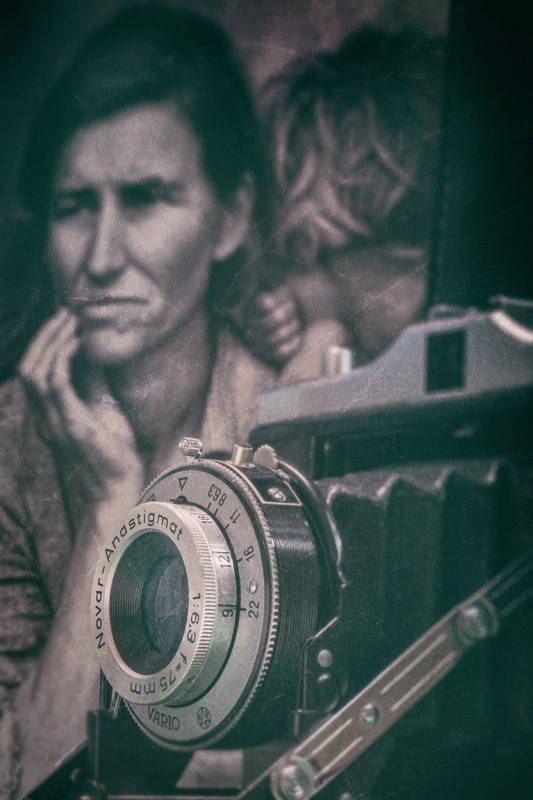 Who could not be moved by Dorothea Lange's Migrant Mother? This is one of my favorite vintage photo. In today's standard, the photo documentary can be considered flawed. Yet everything about it seems to work. Lange used an uncorrected lens in most of her portraits. She preferred the soft focus, which perhaps made this photo more appealing. The softness aptly captured the mother's tenderness. I heard that Lange staged this shot. So in a sense, it is not candid. But I don't care. Whether it was contrived or not, the mother's anxious gaze appeared real to me. 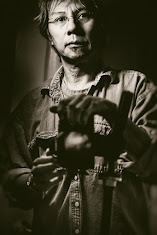 For this photo, Lange is known to have used a 4x5 format viewfinder camera. I don't have one but perhaps one day I can get my hands on an old one. So instead I used my Zeiss Ikonta medium format as prop. My Ikonta goes back to late 1930's. About the same time that the Dust Bowl happened. I've fantasized about my Ikonta. Perhaps it has been used to memorialize events nobody cared about. Except for the photographer who took those photos. Could have been at the Dust Bowl.